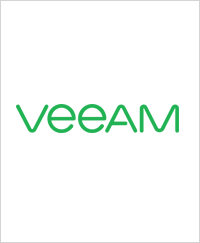 Veeam Software develops backup, disaster recovery and virtualisation management software for VMware and Hyper-V virtual environments. The company focuses on virtualisation and the name ‘Veeam’ came from the phonetic pronunciation of the letters ‘VM’ as in virtual machine. Veeam recognises the new challenges organisations face in enabling the Always-On Business – an organisation must operate 24/7/365. To address this, Veeam delivers ‘Availability for the Modern Data Center by helping to ensure recovery time and point objectives (RTPO) of less than 15 minutes for all applications and data. Veeam Availability Suite leverages modern data centre technologies, such as virtualisation, modern storage and the cloud, to enable the Always-On Business. It combines the award-winning data protection and virtualisation management expertise of Veeam Backup & Replication and Veeam ONE for VMware vSphere and Microsoft Hyper-V.
Phoenix Software is a Veeam Platinum Partner and as the UK’s foremost award-winning VMware Premier Partner and Microsoft Gold Partner, Phoenix Software is perfectly placed to enable you to expand and protect your virtualised infrastructure with Veeam. Phoenix Software has recently been awarded The Best Marketing Campaign of the Year 2016 from Veeam.